That French Jew from the other camp claimed that he had seen my wife. He lied, to my delight. The Russians advanced in the east and surrounded Budapest on 29 December 1944. Starting on 13 January 1945, they also launched their first two offensives on Germany itself, in East Prussia. However, because of fanatic German resistance the Red Army was able to make only limited advances and abandoned the offensive. 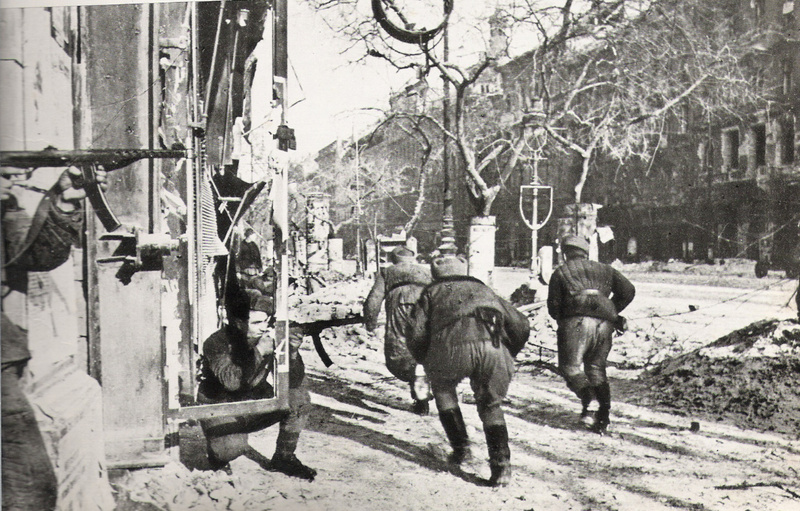 There was fierce fighting around Budapest, and the city resisted the Russians for three weeks. Without supplies and after several attempts at relief had been frustrated by the Red Army, the city capitulated to the Russian power. Meanwhile in Yugoslavia the Russians, with the help of Tito and the Partisans, managed to seize Belgrade and subsequently most of Croatia. Officially Croatia remained a sovereign state, but in 1941 most of its territory was occupied by the Allies or was under German military control. This eliminated the last ally of Germany in Europe.